Words list: click on the bees below to take you to the list of words for this year's competition. 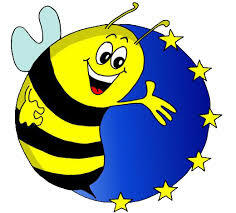 You will find under each bee the audio files to check your spelling in French. Official Website: Find the games and practise as in the competition here. Activity to practise your spelling! The password to access this is the name of the head of Year 9. The next competition should take place in March: the 5 remaining candidates will compete against each other and 2 candidates will be selected. Amusez-vous bien et bonne chance!! - Have fun and good luck!